What is Your SEO Firm Really Doing? 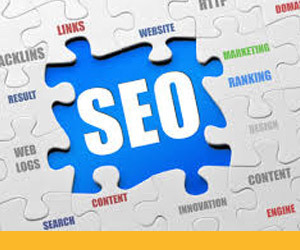 At this point you may be aware of how important it is to have managed SEO on your website. With SEO strategies ever changing, it becomes overwhelming for a business owner to keep up-to-date with the movement. Whether you already are working with a SEO firm or looking to hire one, it would be a smart idea to ask them these questions. 1) Do they offer you guaranteed top rankings in Google? It is unethical to make these kinds of promises since there a too many fluctuations in these results. Today, search engines are more intelligent than any of us can understand and therefore can’t be manipulated. 2) What kind of content automation do they offer? Website content represents your brand, validates your expertise and is proof of worthiness for search engine ranking. Generic and repetitive automated content will not give you the results you are looking for. 3) Do they promise to get your website thousands of backlinks? A strategy for obtaining backlinks is important for your website's SEO presences. Where these backlinks come from cannot be overlooked. Fewer high quality links are more powerful then thousands of low-quality links. 4) Can you see the proof? Don’t be left in the dark when it comes to evaluating your website's SEO performance. In reality, the SEO firm is working for you, right? Ask for a clear, outlined SEO report monthly. 5) What SEO packages do they offer? Your business isn’t generic, it’s unique. Methods differ from business to business, depending on your goals and objectives, there are clear and proven SEO systems that work to produce a long term foundation. Be sure to ask your SEO firm what their distinctive system and approach is going to be to your business. Passinglane can answer these questions right now. 1) Here at Passinglane we follow Google’s 200 SEO ranking factors guideline because they are the top search engine. Google’s recommend strategies guarantee the best possible results. 2) When building website content, we take the time to gather information about your business and the industry you’re in. Quality content is one of the key components of a good SEO strategy. 3) We understand that when it comes to SEO, short-term wins will never out do the work of building strong lasting solutions. That’s why we are careful in evaluating high-quality links from authority sites pointing to your site. 4) We would be happy to show you multiple case studies and a portfolio of clients we have worked with. Knowing that you hired us to manage SEO we will also develop a reporting frequency to keep you in the loop. 5) Client satisfaction is the real measure of success and pride for the work we do at Passinglane. We engage in a conversation about your business goals and objectives, and then design a marketing plan specifically to your business. Our goal at Passinglane is to keep you focused on what you do best - while we do what we do best for you. We would be happy to answer any additional questions you may have. Contact us today!